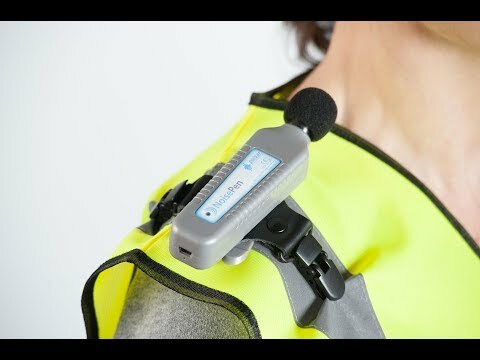 Great value, self-contained personal noise dosemeter for compliance with occupational noise regulations. "...Capture, record and calculate noise exposure data with this new innovation for over 30 hours..."
The NoisePen does not require a Charger or Reader Unit – all interactions are done via USB to a PC and the analysis and reporting software Pulsar AnalyzerPlus. The calibration of the NoisePen is also undertaken prior to taking a measurement with its acoustic calibrator. The same process is carried out on return of the unit to base. Pulsar AnalyzerPlus software will provide a full map of ‘Time History’ information to help you determine when key noise problems occur during a worker's day. All the data essential to meet compliance with occupational noise regulations is also available to view from the reporting facility such as: LAeq, LEP,d, % Dose and TWA. The additional ‘C’ weighted peak Time History allows you to fully assess risks from impulsive noise in the workplace.